Before Erica Herman there were 2 other women who had a go at "taming Tiger." Woods, who this week won the US Masters, his first major in 11 years, has been congratulated not just on his incredible physical comeback, but his apparent growth in emotional maturity too. Here is Tiger’s win. Post continues after video. In 2009, it was a very different story when the National Enquirer blew the lid on Woods’ cheating scandal in 2009, alleging he’d cheated on wife Elin Nordegren with 121 women. A very public and messy divorce followed in 2010. Tiger Woods and ex-wife Elin. Image: Getty. After Woods went on to have some more high profile girlfriends. Here is everything we know about the women that came after the scandal. Vonn is an Olympic alpine skier and one of the most decorated downhill racers in history. She is one of two female skiers to win four World Cup overall championships. 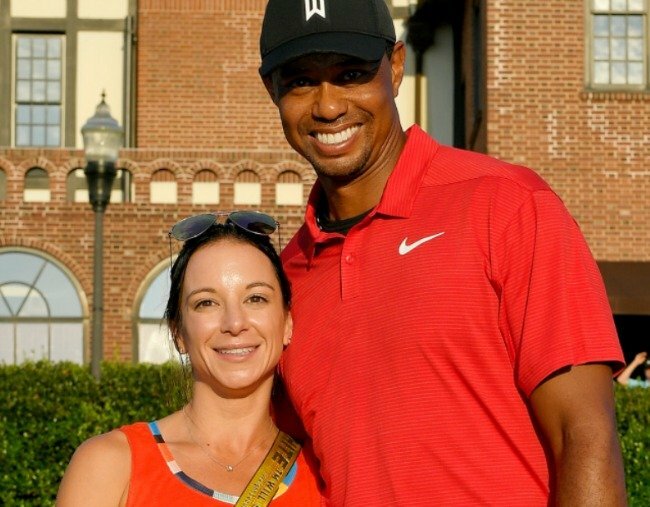 She, like Woods, was top of her field, and their relationship made them one of the hottest couples in the sporting world. They met at a charity event in 2012. Vonn and her then husband were going through a divorce at the time. Lindsey and Tiger in 2014. Image: Getty. "We&apos;re athletes so I guess we have something in common there," Vonn told David Letterman. The paparazzi loved the famous couple, and they were snapped with his children and even his ex-wife. Woods helped Vonn during her well-documented knee injury of which she told Today; "He&apos;s very patient and mentally tough. It really helped me get through." The couple announced their breakup on Facebook. "Unfortunately, we both lead incredibly hectic lives that force us to spend a majority of our time apart," wrote Vonn. She added, "I will always admire and respect Tiger. He and his beautiful family will always hold a special place in my heart." "I have great admiration, respect and love for Lindsey and I&apos;ll always cherish our time together. She has been amazing with Sam and Charlie and my entire family." Kristen is a mum-of-one and owns her own personal styling group The CLAD Life. She has a son, Isiah, to ex-husband and Dallas Cowboy Gerald Sensabaugh. Woods and Smith started dating in November 2016. Their relationship made headlines when Smith was stopped at an airport with $200,000 cash in her handbag, that she claimed came from her boyfriend, Woods. One of Smith&apos;s cousins told Radar Online at the time that the relationship was "awesome." 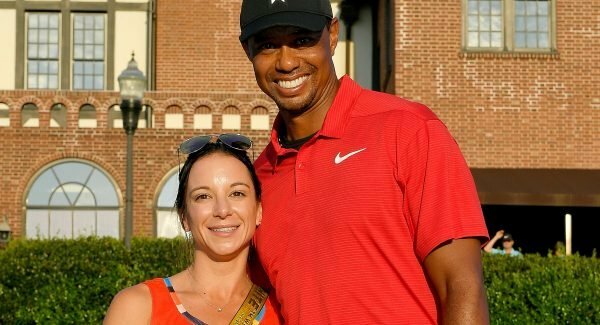 The couple were dating when Woods was arrested for a DUI in 2017. TMZ reported Smith learnt of his arrest while in a Nieman Marcus store in Dallas. The site reported that she "went crazy" and started yelling "I knew it, I knew it." It&apos;s believed they broke up sometime before August 2017. She is trying to get a non-disclosure agreement which she signed registered as invalid so she can expose her ex&apos;s alleged behaviour. 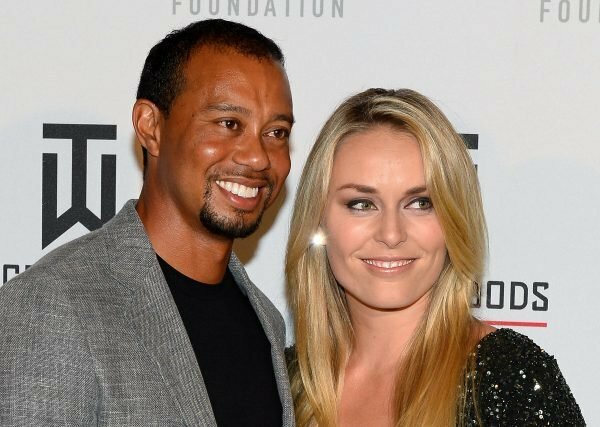 Radar Online reports, Tiger cheated on her with his now girlfriend Erica. “Kristin suspected it, but he would always deny it by belittling Erica,” a source close to Kristin told the publication. “Kristin eventually caught them together. It was a big mess,” they said. The couple seemed to shield their relationship from view, a contrast to Woods&apos; time with Vonn. There were no public social media photos of the pair on either of their accounts while they were together. Woods and Herman have been dating for several months, and were first seen officially in late September at the Tour Championship. Herman was spotted with a "player&apos;s spouse" credential around her neck a month later at the President&apos;s Cup. Tiger Woods and Erica Herman. Image: Getty. Herman was in the restaurant business, and it&apos;s believed that&apos;s were they met, back when Woods was still married. Radar Online reports that Herman was known as a "gold-digger" and a "big partyer" who has "been chasing Tiger around like a puppy for close to ten years. I&apos;m not sure if his wife knew, but I&apos;m not sure how she couldn&apos;t know," a source said. She has however, been credited with &apos;taming the tiger,&apos; with many drawing a link between her appearance on the scene and Woods&apos; incredible career comeback.